In light of all the recent information that has come to light about TEPCO and the Japanese nuclear industry’s problems and involvement with anti-social forces, not to mention the industry’s history of criminal malfeasance, we have decided to repost Professor Kingston’s chapter on the subject. It’s from his eerily prescient book Contemporary Japan published long before the Fukushima triple meltdown. It’s a long read but well-worth it. We first posted this in June of 2011. CONTEMPORARY JAPAN explores the cover-up, accidents, and corruption endemic to Japan's nuclear power industry. An excellent book on modern-day Japan. Those fears were well founded. The history of Japan’s nuclear industry is as dark as Fukushima Prefecture was on the night of March 11th, when a 9.0 earthquake devastated the nation and a meltdown took place at Tokyo Electric Power Company (TEPCO) ‘s Fukushima Daiichi Reactor. TEPCO is only one company among several that has had nuclear “accidents.” In his book published in 2010, Professor Kingston describes the problems and history of Japan’s nuclear power industry. With his permission, Japan Subculture Research Center is publishing the relevant chapters from his book cited above. The book eloquently and objectively sheds light on a the problems endemic in Japan’s nuclear power plants, the ministries that oversee them, and the private companies which manage them, often quite badly and to the detriment of the general public. The Japanese government puts a great deal of faith in, and spends massive amounts of money on, nuclear energy. This reﬂects policy-makers’ dream of securing energy self-sufﬁciency and explains why two-thirds of the national energy research and development budget is devoted to nuclearpower. In terms of reducing carbon emissions and reducing dependence on oil imported from the Middle East, it is a sensible policy. However, there are good reasons why the majority of Japanese remain skeptical about nuclear power. Japan has witnessed a series of nuclear accidents over the past two decades that raise serious concerns in an earthquake-prone nation with ambitious nuclear power plans. Japan is totally dependent on imported energy and has thus invested billions of dollars since the 1950s in developing its nuclear energy program. Public concerns about the safety of nuclear power contrast sharply with ofﬁcial insistence that the nation’s facilities are both safe and necessary. Polls consistently reveal that 70-75 percent of Japanese have misgivings about nuclear power and fear that serious accidents might happen. With dwindling reserves of fossil fuels, high prices, and growing concern about greenhouse gases related to consumption of these fuels, the prospects for the nuclear power industry have brightened considerably. Advocates assert that nuclear power is the trump card in the battle to reduce emissions and curb global warming while critics suggest it is more of a wild card given the risks, high costs, and long-term waste disposal issues involved. Japan currently operates 55 nuclear power plants, up from 32 in 1987, that supply nearly 35 percent of its electricity needs. The government plans to raise the share of energy generated by nuclear power to 41 percent by 2014. Since 1998 two nuclear power reactors have started up with six more currently slated for installation or expansion. In the following sections we examine some notorious incidents and aspects of Japan’s nuclear power program that help explain why so many Japanese have considerable qualms about the potential environmental consequences. The world’s most serious nuclear accident since the Chernobyl meltdown in 1986 occurred in Tokaimura in September 1999. This small village, about 70 miles from Tokyo, is known as “Nuclear Alley” because it is home to 15 nuclear-processing facilities. In 1999 workers at a uranium- processing plant accidentally triggered a runaway chain reaction that lasted for 20 hours in a facility that had no containment barriers. Mistakes in preparing nuclear fuel caused an accident that was not supposed to happen. A stunned nation learned that the accident occurred while the workers were transferring enriched uranium in stainless steel buckets and mixing the uranium by hand and then pouring it into an open holding tank. The fail safe high-tech safety procedures lauded by nuclear industry proponents were ignored in favor of manual mixing of highly dangerous and unstable radioactive materials. The workers erred in the quantities of the solution they mixed, instead of using processing equipment at hand that had automatic controls to prevent such an accident from occurring. Investigators discovered that the workers were actually following company instructions in violating safety protocols. Since there would be no risk of an accident if workers abided by these protocols, there was no contingency plan for such an accident and no form of containment to protect area residents from the radiation. Despite three previous nuclear mishaps at Tokaimura, public authorities were slow to react. The town authorities had no contingency plans and ﬁreﬁghters arrived without protective clothing because they were not informed about the nature of the accident. It took 2 days to arrange proper medical care for the three workers directly exposed to the nuclear ﬁssion and two of them died from their injuries because the hospital designated for treatment of radiation victims was not prepared to handle such cases. In 2002 the Mito District Court ﬁned JCO, the company operating the nuclear fuel facility, JPV1 million (about $10,000) and its president an additional JPY500,000 ($5,000) while issuing suspended prison terms of two to three years for the six managers prosecuted. The cost of nuclear negligence, thus, proved rather modest. This exposure of ofﬁcial bungling and the consequences of a business more concerned about proﬁts than safety left the public even more skeptical about a nuclear program that has been plagued by safety ﬂaws, radiation leaks, shutdowns, ﬁres, falsiﬁcation of inspections, and cover-ups. In the summer of 2002, revelations about extensive falsiﬁcation of safety records over the previous decade involving potentially dangerous problems in a number of the nation’s aging nuclear power plants indicated the low priority accorded public safety. In the aftermath, 17 reactors were shut down for a year to recheck safety systems and perform necessary maintenance and repairs. Amazingly, dozens of high-level industry executives knew of the problems and participated in a well-orchestrated cover-up to falsify inspection and repair records and certify the safety of power plants where engineers had found ﬁssures that could prove dangerous if left unattended. More stunning was the initial handling by the Ministry of Economy, Trade, and Industry (METI) of the whistleblower’s report about the falsiﬁed safety records. A foreign subcontractor who participated in the inspections and found the problems later discovered that the results of his inspections were ignored and subsequently falsiﬁed. Later he reported these criminal acts to METI, the government ministry with oversight responsibilities for the nuclear power agency, and was again ignored. Moreover, ministry ofﬁcials apparently alerted the power companies of the whistleblower’s identity and efforts to expose their negligence. The problem was identiﬁed as how to handle the whistleblower as opposed to responding to the allegations by investigating wrongdoing, making repairs, and ensuring public safety. The media eventually blew the lid on this case, forcing the government and power industry to do what they should have done in the ﬁrst place: put safety ﬁrst. Ironically, the cover-up was motivated by a desire to avoid raising public concerns about nuclear power and avoid the costs of plant shutdowns that have been the ﬁnancial bane of the industry. Those concerns and costs rose substantially due to this failure to comply with existing regulations. Yet again, the public learned about the need for better oversight and the low level of corporate and government ethics that lay at the heart of this scandal. In considering how Japan is changing, it is signiﬁcant that this story ever came to light. As in so many other areas of life in Japan, there is a great deal more openness about topics that were once taboo or suppressed. Alas, inadequate maintenance and inspections carries real consequences, claiming the lives of ﬁve workers in 2004 at the Mihama nuclear plant. They were scalded to death when exposed to steam leaking from a corroded pipe that had not been inspected since it was installed in 1976. Tests on the pipe after the incident showed it had lost 85 percent of its thickness, something that could have been discovered in an inspection. Nine months before the accident, a subcontractor had informed the operators about the urgent need for such inspections, but his warning was ignored. Regulations did not require regular inspections of secondary cooling cycle steam pipes so they weren’t inspected. This in a country where every car more than 3 years old is required to undergo extensive and expensive safety checks every other year. The culture of safety that should be intrinsic to nuclear power operations appears lax in far too many instances in Japan – an institutionalized complacency in industry and government that raises legitimate environmental concerns. In Japan, Kashiwazaki has come to mean “close call.” On July 16, 2007 a 6.8 magnitude trembler jolted beneath the world’s largest nuclear power complex located in Niigata Prefecture in a place that was not supposed to have a tectonic fault. This earthquake serves as a vivid reminder of the risks generated by nuclear power, especially in zones of seismic risk. The good news is that a mega-disaster did not occur and, thanks to design safety margins, the seven reactors with a capacity of 8,000 MW were not damaged by an earthquake that exceeded all assumptions in the design speciﬁcations. The three reactors in operation and a fourth in start-up mode did shut down automatically as designed. Kashiwazaki had been shut down previously in 2002 because of falsifying safety data. Tokyo Electric Power Company (TEPCO) reassurances about the negligible risk associated with this incident rang hollow in a nation accustomed to the nuclear utility industry’s lack of transparency, tardy notiﬁcations, cover-ups, and mishaps. TEPCO informed local government authorities about the radioactive leakage nearly 9 hours after the earthquake. Industry advocates emphasize the effective functioning of nuclear-related safety equipment and the absence of damage to the reactor buildings. Critics have called on the government to shut down some one-third of the nation’s 55 nuclear reactors for more robust inspections to investigate and reassess seismic risks in light of the lessons drawn from Kashiwazaki; the tremors were more than double the design benchmark. Nobody knows how many reactors may have been built on similarly ﬂawed assumptions. The discovery of a fault beneath Kashiwazaki’s nuclear reactors has also raised concerns about relying on power companies to select and assess site suitability. NHK aired an investigation featuring interviews with the staff that were at the plant when the quake hit. The supervisor explained that the crisis control room door jammed because of the earthquake, meaning that he and his staff were unable to enter and monitor the situation. Instead they set up a whiteboard in the parking lot and used their private mobile phones to maintain communications and monitor the seven reactors spread over　the complex. The supervisor admitted that the absence of effective centralized crisis control and poor communications with local authorities could have turned a dangerous event into a more serious disaster. Sometimes it is good to be lucky. There are grave concerns about seismic science and the government’s credibility on safety. In 2005 a judge ruled in favor of TEPCO in a case ﬁled by local residents of Kashiwazaki to revoke the license to build a nuclear reactor at the site. The judge ruled that the scientiﬁc evidence overwhelmingly proved that the plaintiffs’ assertion – that the plant was vulnerable to an earthquake due to a hitherto undetected fault – was baseless. Proof is in the eye of the beholder, but clearly this faulty judicial ruling has been a black eye for seismic evaluations conducted by the nuclear power industry. Deregulation of the utility industry is putting pressures on operators to boost proﬁts at the expense of safety. So just as Japan’s aging nuclear power plants, many entering their fourth decade of operation, are in more need of inspections, maintenance, and repairs, bottom-line concerns are forcing cutbacks in safety measures. Given various mishaps, cover-ups, and a culture of deceit in the nuclear power industry, there is considerable public unease with this turn of events.’ The government mandates that every nuclear power plant shut down once a year for an inspection, and in the pre-deregulation era this typically lasted 3 to 4 months. Cost-cutting measures, however, have drastically shortened inspection times to as little as 6 weeks and operators seek further reductions in costly downtime. They are also seeking to extend the shelf life of their plants to 60 years, double what experts thought prudent when they built the plants. In the context of fewer and shorter inspections, and a record of falsifying safety reports, the implications are unsettling in light of the potential harm of an accident. In northern Japan the government has established a complex for nuclear enrichment, reprocessing, and waste storage facilities. There were high hopes that the International Thermonuclear Experimental Reactor might be built there, but in 2005 this project was awarded to France. In 2007, Rokkasho commenced reprocessing of spent reactor waste to reuse as fuel. The reprocessing yields weapons-grade plutonium, raising questions about the growing size of Japan’s nuclear-weapons-usable plutonium stockpile, currently estimated at 45 tons, about 20 percent of the global total. There are also environmental concerns about the toxic release of carcinogenic tritium associated with reprocessing nuclear waste. The plant operators have been given permission to release into the ocean 2,800 times the allowed tritium release for conventional reactors. Even operating at full capacity, Rokkasho will only be able to reprocess about 800 tons of spent fuel per year, less than the 900 tons of nuclear waste currently produced by the nation’s 55 nuclear power reactors. Given that it already has 12,600 tons of nuclear waste as of 2006, and new reactors will boost annual waste production to at least 1,200 tons per annum, the reprocessing capacity of Rokkasho is insufﬁcient for the task at hand. The long-term concern associated with Rokkasho is its nuclear waste storage facility. The projected total capacity for low-level nuclear waste is 3 million 200 liter drums that will be buried under mountains of soil. In addition, canisters of vitriﬁed high-level radioactive waste are also stored there in above-ground facilities for three to ﬁve decades, after which they will be placed in an underground storage facility that will require monitoring and safekeeping for several generations. Even if safety assurances are reliable, the huge cost of handling and disposal of nuclear waste underscores just how high the stakes are in pursuing expansion of nuclear power. It is also important to factor in the cost of decommissioning older plants as their shelf life expires, involving dismantling of reactors, disposing of waste, and site clean-up operations. The nation already knows, to its regret, the high cost of improper waste management. Japan has overcome the toxic legacy of its rapid post-WWII development, symbolized perhaps most viscerally by Minamata disease. For decades beginning in the 1930s a chemical company dumped mercury waste into the bay off this small Kyushu ﬁshing village. It is a long and sordid story involving a corporate cover-up aided and abetted by government ofﬁcials that prolonged the dumping while the number of victims piled up. Belatedly, Chisso Corporation and government ofﬁcials acknowledged their negligence for failing to stop the dumping that led to a nightmare of human toxic poisoning, causing serious nervous system damage. Children born to affected women absorbed the mercury, to some extent detoxifying the mothers, but as a result suffered terrible deformities and shortened lives. Lawsuits ﬁled by victims have percolated slowly through the court system since the 1970s and eventually brought incrementally and begrudgingly some measure of justice in the form of ﬁnancial compensation. Finally in 2009, the government passed legislation aimed at extending redress and medical beneﬁts to many previously unrecognized victims. Victims, however, are not all pleased with the modality of the settlement and complain that this plan provides inadequate compensation and amounts to a reprieve for Chisso by blurring the company’s responsibility. Controversially, the new legislation requires those who receive compensation to give up ongoing litigation and waive any further claims. 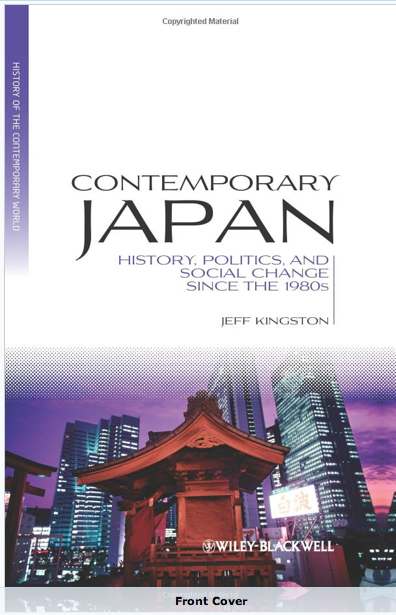 For more on the Minamata incident which has remarkable parallels to the meltdown at Fukushima Daiichi Nuclear Reactor, including noted and collusive professors from Tokyo University appearing on television and denying any serious problems, please read Contemporary Japan by Jeff. Kingston. 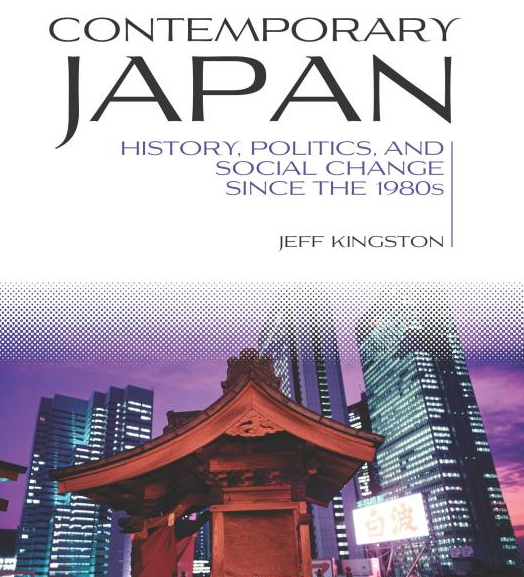 The book is an accessible and well-informed look at the problems of modern-day Japan and its strengths. Mr. Kingston has also edited a stellar e-book for charity on the aftermath of Japan’s earthquake, Tsunami: Japan’s Post Fukushima Future. Fascinating piece and eye-opening. It makes me want to read the book. hi Mr Jake Adelstein i I said it ONCE and say it again!! “the usa do not work with the law in Den Haag !!!???? the FBI,DEA,CIA do not work with europe law !!!???? ” a lot of 1 % us angels are rare! more then 10 new in 3 weeks!? @ amanjaku: I’m guessing… I think you mean to say the USA does not recognise (accept authority) the ICC – International Criminal Court – right? I live in Holland and assure you that DEA and other agencies DO work together fighting crime, sometimes even disregarding our local laws in the process. The ICC is a different story altogether: it opens up the posibility of indicting (like they just did with M. Quadaffi), judging & sentencing heads of state for warcrimes & crimes against humanity. USA (justifyably?) worries that might be used against their (former) president(s), so opposed. The rest of your remarks mistify me, so I cannot answer them, sorry. Hope I clarified a bit? “Contemporary Japan” is an appalling book on contemporary Japan, stuffed-full of platitudinous bromides. Horrified that you would recommend it. The photo essay with the old picture of Nakasone was amazing. Creepy even. Like time travel. I disagree with your assessment of the book. You obviously know a lot more about Japan than most people so maybe it’s hard for you remember a time when you didn’t know anything about the country at all. As an introduction to modern Japan (post 1990), I think it is very good for the general reader. Yes, it may have flaws but so do all books. It’s a broad area to cover. If you can recommend another book about contemporary Japanese society worth reading, please do. And if you’d care to write a review of that book, I’d be happy to post it after at least skimming the book myself. I apologize for horrifying you. I can think of things much more horrifying than a positive book review but that’s my sense of scale. Thanks for reposting this article. I never had a chance to read it when you originally posted it last July. The chilling irony of that quote is truly frightening. In the years that I have lived here I have often wondered why one of the most seismically active countries (as well as the only country to be the victim of nuclear warfare) would be so eager to embrace nuclear power. Recently a friend of mine forward me a review of a book that was published a few years ago which seems to connect many of the dots. It is a fairly long read but fairly informative. I’m so glad you read it. I think it was wonderfully prescient and I’m glad Jeff allowed me to post it. I don’t see how the 30-year estimate has anything to do with anything. What is the current assessment of the plants? It seems that on-site inspections of the actual plants here and now are more meaningful than projections made decades ago that tried to predict the future. With such an expensive piece of infrastructure, if it turns out they can be used longer than predicted, it’s only responsible to do so. this year Japan is set to become the world’s largest solar nation. FWIW. There are issues with grid capacity and storage but it will happen. I think that would be amazing. I hope it happens.